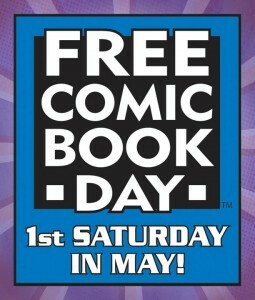 comic book, comics, free, Free Comic Book Day, Freebie, He-Yump! That’s right, today’s the day when comic book stores across the country are giving away free comics and having special sales! If this horror-related free comic from Dark Horse Comics isn’t enough to convince you to head out to your local comic book store, perhaps this vintage GdL16 article will. Happy Free Comic Book Day!